Steven (Chicagoland, United States) on 19 July 2013 in Landscape & Rural and Portfolio. 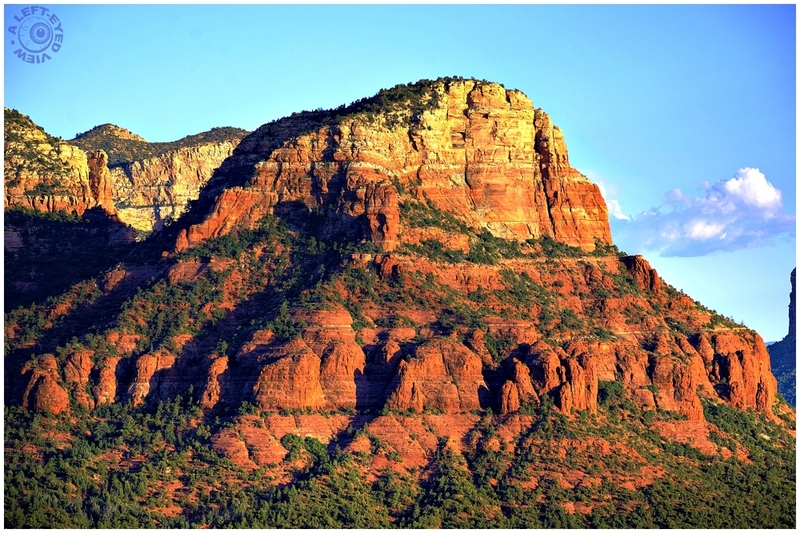 Evening light shining on Sedona, Arizona. Beautifully exposed. A fascinating landscape. Have a nice day. A beautiful capture of the wonders and beauty of nature. Beautiful light and colour combinations and beautifully framed ! So very beautiful - I just love those colors in the rock along with the various patterns created by the trees. Well done, Steven! Such a beautiful spot with so many photo ops. This strong late day light makes the colors very intense, almost surreal. Superb colors and textures ! Very beautiful ! What a great contrast between the earthy reds and greens. I like this series. Great shots with beautiful landscapes. You caught the perfect light. It shines wonderfully under this glorious light!! Great moment and subject captured. For someone that sees this all the time, I wonder if it ever becomes just an everyday event for them. For me, it's an out-of-this-world sight, I think I would always be in awe every time. It is most impressive at evening with that setting sun. Excellent! Gorgeous light and color! Absolutely beautiful! I love the sunlight and the blue shadows. It's gorgeous! amazing colour tones and textures! the rich red hues are a wonderful sight and you used the light very well to capture them! It looks great in that beautiful evening light. Fantastic capture ! It's spectacular !! Stunning landscape ... the textures, the colors and light are wonderful !!! I love those red rocks. Great shot!